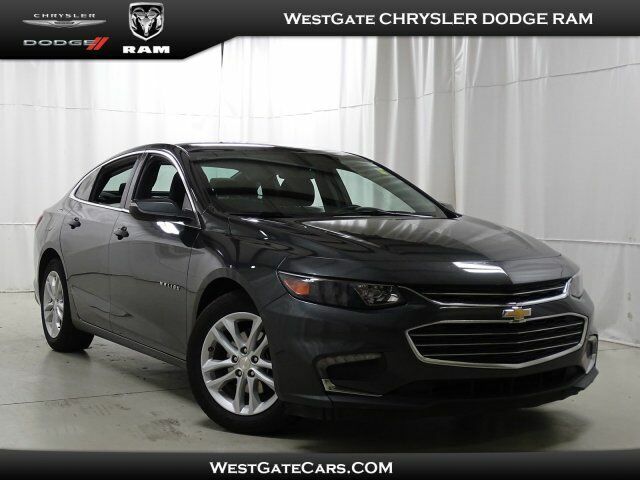 Come see this 2016 Chevrolet Malibu LT before it's too late! WHEELS, 17" (43.2 CM) ALUMINUM (STD), TRANSMISSION, 6-SPEED AUTOMATIC (STD), TIRE, P225/55R17, SEATS, FRONT BUCKET (STD), PREFERRED EQUIPMENT GROUP includes Standard Equipment, NIGHTFALL GRAY METALLIC, LICENSE PLATE BRACKET, FRONT, JET BLACK, PREMIUM CLOTH SEAT TRIM, ENGINE, 1.5L TURBO DOHC 4-CYLINDER DI with Variable Valve Timing (VVT) (160 hp [119.3 kW] @ 5700 rpm, 184 lb-ft torque [248.4 N-m] @ 2500-3000 rpm) (STD), AUDIO SYSTEM, CHEVROLET MYLINK RADIO WITH 7" DIAGONAL COLOR TOUCH-SCREEN, AM/FM STEREO with seek-and-scan and digital clock, includes Bluetooth streaming audio for music and select phones; featuring Android Auto and Apple CarPlay capability for compatible phone (STD). For a must-own Chevrolet Malibu come see us at Westgate Chrysler Jeep Dodge Ram, 6421 Old Westgate Rd, Raleigh, NC 27617. Just minutes away!